"Crop blight . . . Terrible drought . . . . Machinery failure . . . . Another overseer lost to the ague . . . Returns far less than the last . . .
Gray Covington is certain that Keturah has grown up into a beauty all her own. After enduring what he assumed to be a terrible marriage, before being widowed, Keturah makes it crystal clear that she never wants to be beholden to a man again. If only she would make an exception, for what she is about to face on the island of Nevis is going to test her independence to unfathomable limits. 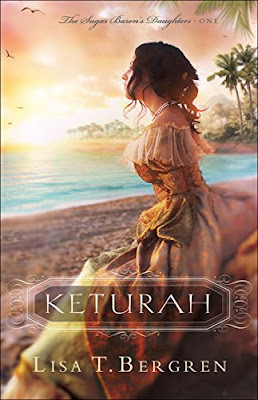 "Keturah" is quite the wonder, spilling over with lush descriptive scenery, only to be interrupted with the harsh realities of island proprietorship as a single woman. The fragrance of romance is a gift from author to reader, especially with nuggets of truth such as this, "All God expects of us is to do our best, from morning to night. He doesn't expect us to do things that only He can accomplish . . . "
*I received a copy of this book from the publisher with no obligation to review or provide a positive review. This is my honest opinion. I 'm seeing great things about this story. It sounds intriguing! 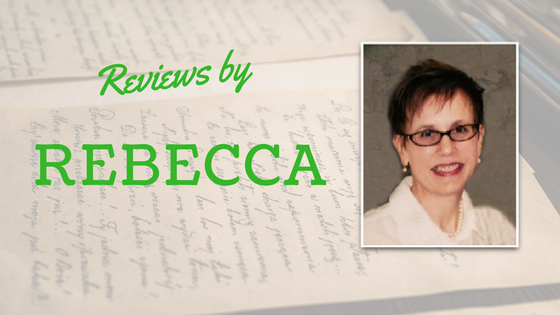 Thanks Rebecca! This story sounds intriguing, and what a gorgeous cover! Thanks for the review!